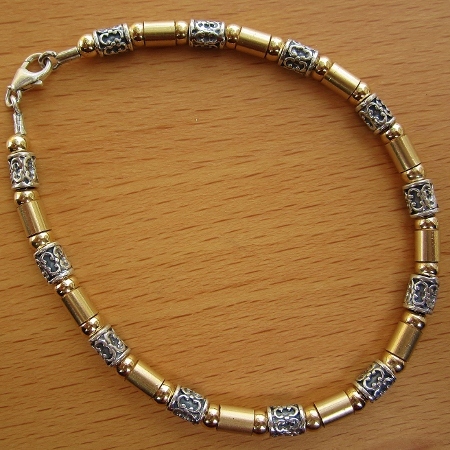 Bracelet made up of sterling silver beads alternated by 20 micron 14K balls & beads, and strung on a durable sterling silver chain. Width: 4mm. Total length is 7.5".